Bee Broadcasting Inc. dominates northwest Montana with the best live and local radio entertainment available, with 7 top-rated radio stations and a combined market share of over 73%. Bee Broadcasting uses the power of radio to connect more listeners to brands and businesses than any other media vehicle. *92% of people in the United States listen to AM/FM radio one plus hour per day. On-air radio sponsorships generate brand awareness through repetitive name association. Targeted. Highly Effective. Long Lasting. Radio's core strength continues to be the power of words. 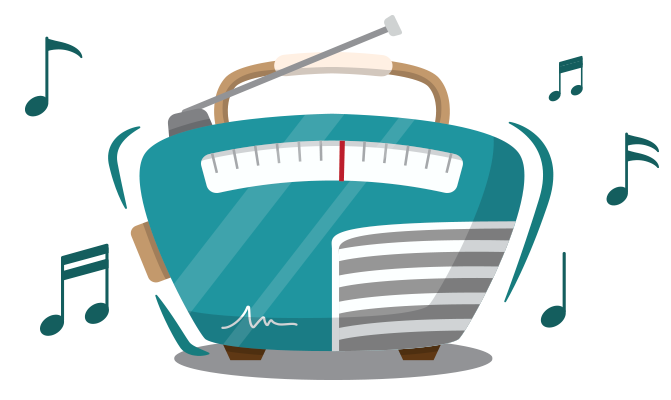 Join us on one of our Local Radio Programs and share your brand's story. Real. Authentic. The power of LIVE on-location events are unrivaled. We bring our radio listeners to your events and make it an unforgettable experience. Fun. Live. Memorable. How does Radio + digital advertising work together? Radio has the perfect storm of local content, music and personalities that listeners are loyal to, and still a huge audience and mass reach. We use this platform to drive awareness of Digital content and advertising on the web, mainly social media, where the ability to have one-on-one interactions is most effective. This gets people talking, commenting, sharing, reposting and most importantly, interacting with your brand! Do you want to build your brand and your bottom line? Let's start by establishing some goals!